The Bosch 960H camera offers high-resolution video pictures. 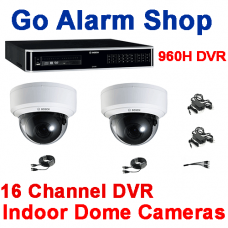 We supply models for indoor and outdoor all-weather use in both dome and bullet video CCTV models with fixed and variable lenses to zoom in on a focus point. We supply models that provide infrared night vision. All our Bosch 960H camera models come with three years manufacturer warranty. Our Range of Bosch 960H Digital Video Recorders come in four, eight or sixteen input models they offer 960H real-time recording and view live pictures at the highest resolution that analogue CCTV can attain. You can select to upgrade the amount of footage storage by choosing extra hard drives. 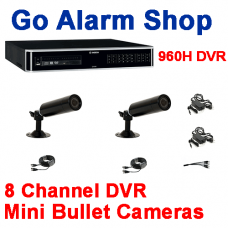 The DVR has a network port to connect to your home or business broadband router for remote monitoring through a smartphone app called Divar viewer. We can supply and fit any of these Bosch CCTV System kits for sale on this site in Sydney, Illawarra .and the Southern Highlands of NSW. 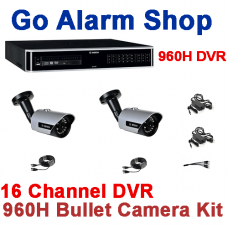 To find out more information on the installed prices of these CCTV Kits. Follow the link to our installation website. 4ch960HoutdoorDomekit Includes 1 x Bosch Video Divar 3000 960H 4 Camera DVR Monitoring Re..